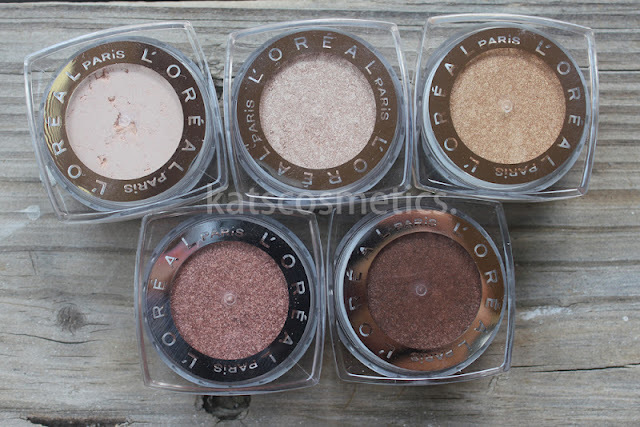 I got some new L'Oreal eyeshadows to try out! I think they came out earlier this year, but since I didn't really trust the qualities of L'Oreal's eyeshadows, I ended up trying out some other stuff. Later I read some reviews about them, people keep saying they are kinda nice, so I decide to give them a try. I got them @Ulta, but you can get them every where. I kinda waited until the buy one get one 50% off thing. 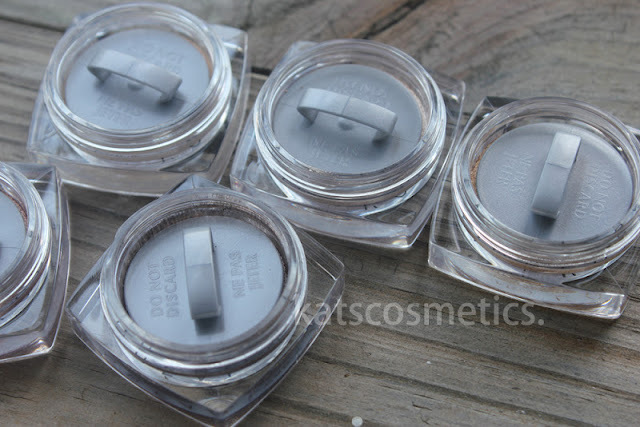 All the shadows come with plastic jars and caps inside, which stops the shadow from going everywhere. The intensity of all the colors I have are really nice, some of them have slightly fallout, but nothing terrible. They last all day without any eye primer. The texture is kinda wired, not powdery, but silky and kinda creamy. I remember when the first time I saw these, I thought they are cream eyeshadows! The only downside is I can't depot them and put them in my everyday palette. Every time I want to use them I have to open each jar...kinda annoying. 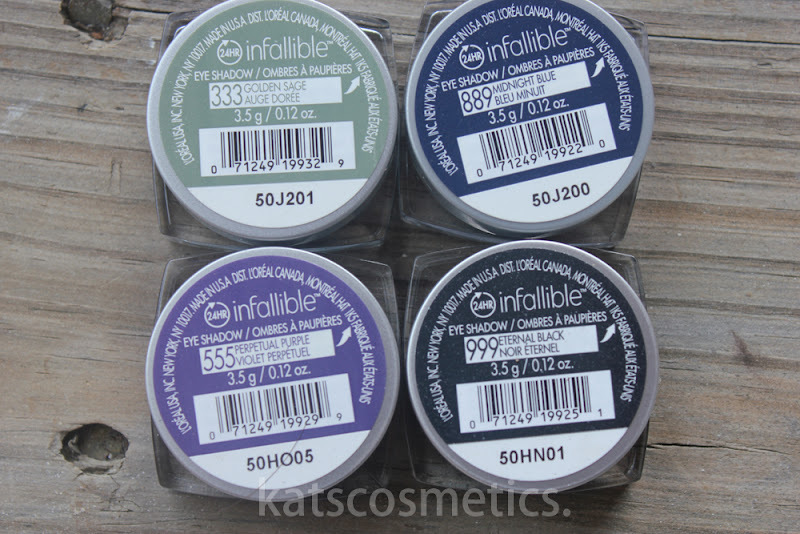 This color looks matte from the container, but it actually has slight shimmer in it. It is a nice everyday color for highlight the brow bone. 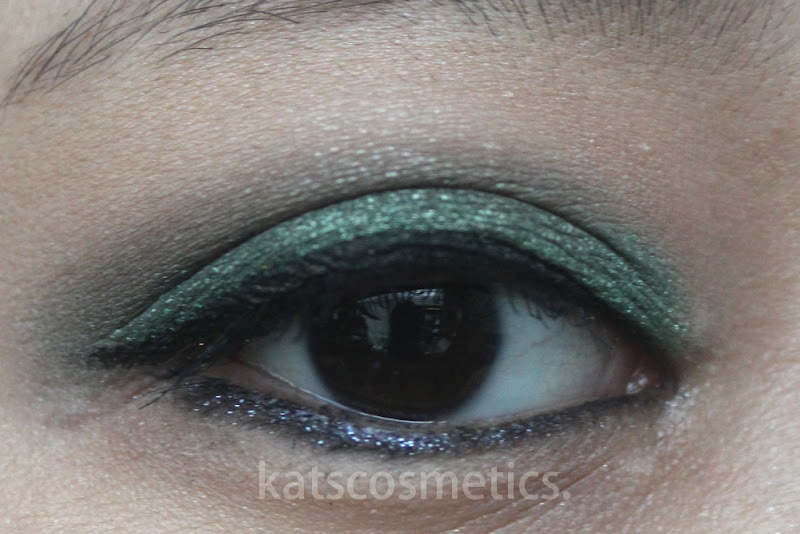 Due to the texture of this color, it is a little bit hard to blend. I don't use this color on my inner corner because it is too "matte" for me. I like something more shimmery. 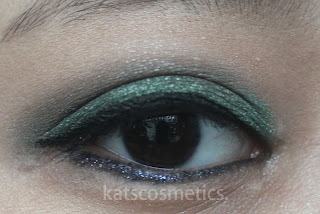 This is the color that is more for brighten up the inner corner of they eyes. It looks pale in the jar, but not too much on the eyes. Just a really nice shimmery color. For me, it is not a overall wash color because of the shimmer but you can definitely give it a try. The texture is silky and easy to blend. 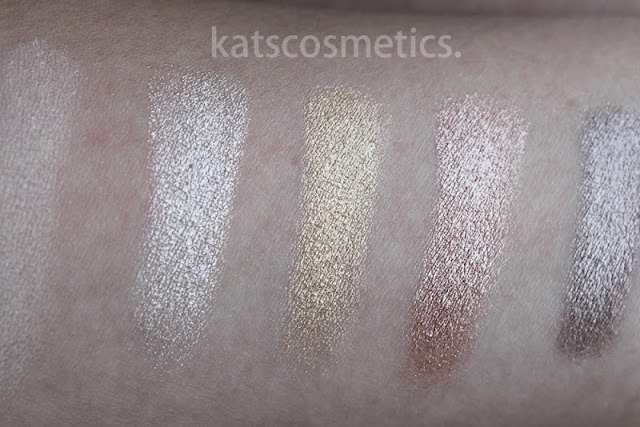 Not a true gold but definitely a everyday kinda gold, which is perfect for yellow undertone because I always thing those true gold eyeshadows color do not look good on yellow undertone. 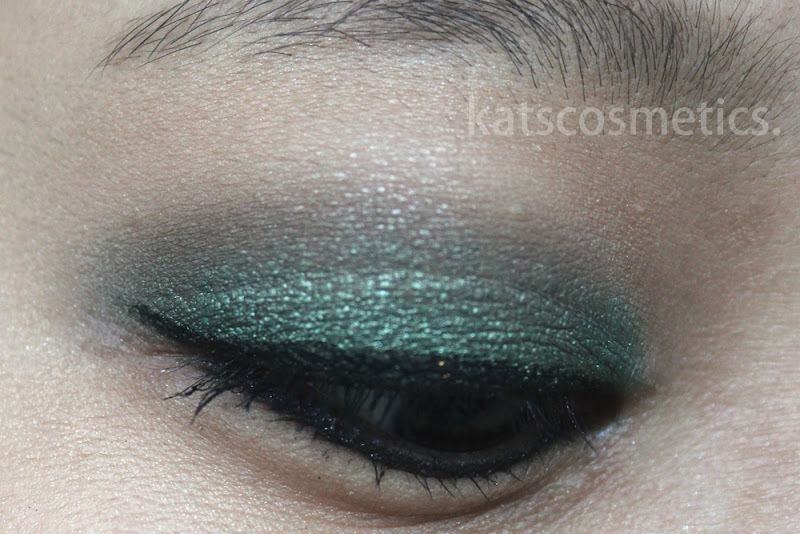 This color doesn't look super shimmery in the jar, but it looks quite shimmery on the eyelids. It shows a hint of red when applying more than one layer. 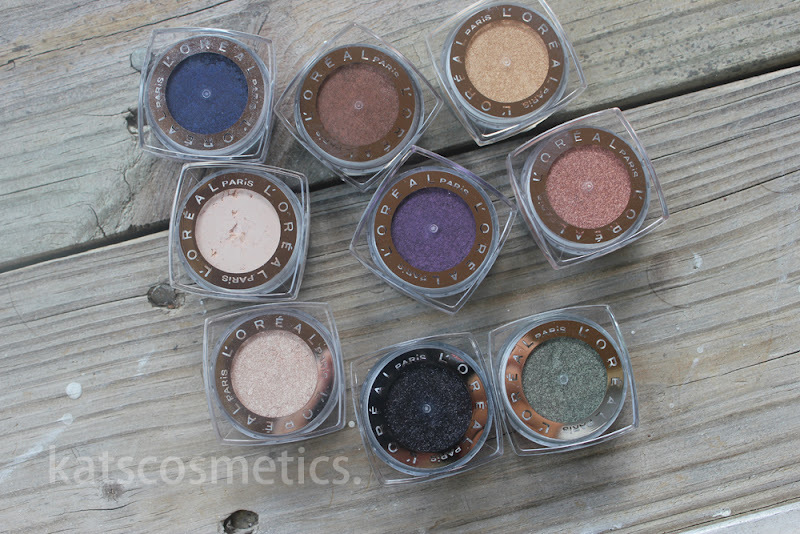 It is a lighter version of Laura Mercier's Burnished Copper. I don't think this specific color works for me (just like Burnished Copper), but It looks better on top of a yellow/gold base. My HG! The texture is the smoothest and creamiest out of all the color I have. It is actually the dupe of Maybelline's color tattoo in Bad to Bronze(I know they look totally different in the jars), which is my every day color. 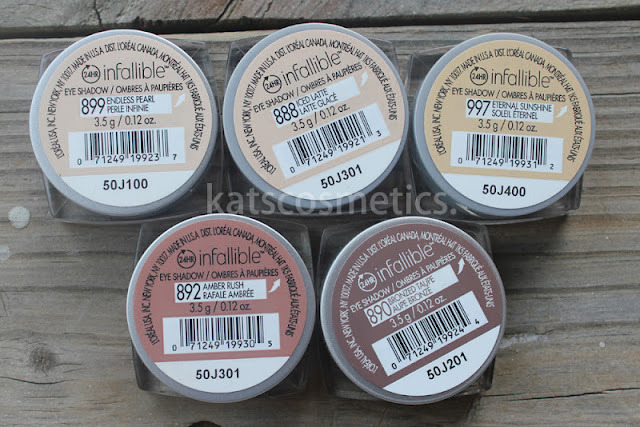 The Maybelline one has cream texture. I used every day for almost 2 months, but it dries out so quick! The brush wouldn't even pick up the color, so I had to use my finger to apply. I am so glad I found this because I don't have to worry about this color drying out LOL. Sometimes I use two color together to get a more intense look, or a everyday smokey. This color is really shimmery. The hint of gold makes this color unique. Sadly, this color doesn't look that nice on me because it is too "green"? I did a look with just this color, it looked weird. I tried with some other color(Pictures below), it looks kinda dirty. I am not sure if it because of the lighting? Normally green doesn't look like this on me. perfect color for smokey eyes! I hate every time I do a smokey look, the color of my eyeshadows makes my black eyeliner looks "disappeared" because the shadow is too dark. 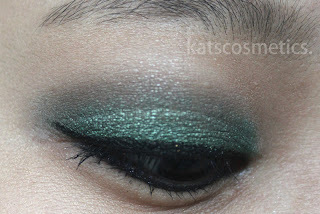 This color wouldn't look too much on a smoke eye, which I love! The blue complements my skin tone. Love this color for a washed out look. 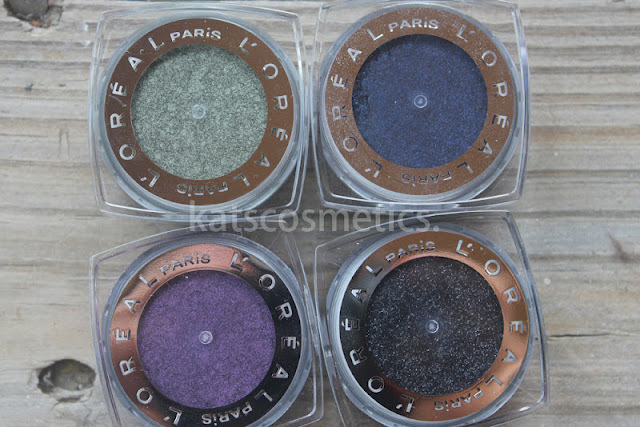 I just love purple eyeshadows even they don't look quite as good as some other colors on me. So I discovered to use them only for a light look. This color performance very well. I love build-able colors! Ok...The last one. 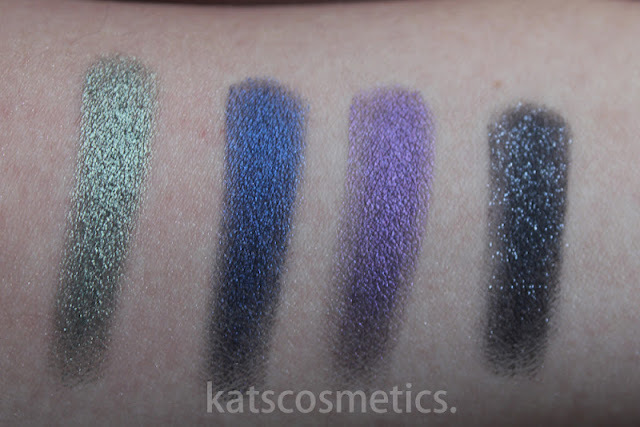 Normally I don't "trust" glitter black or glitter any colors for my liner color because my eyes are really sensitive, most of the glitter eyeshadows have fallout(almost everything I tried... no matter high-end or low-end). Those fallouts make my eyes super uncomfortable! This color does has fallout like any other glittery shadows when I apply, but definitely no fallout during the wearing time, which is already much better than some of the high-end shadows. It stays on all day without any problem(Picture Below). Do you like this lighting better? I tried to take all my swatch pictures under the sunlight but it makes my skin color looks wired... I am still working on my lighting! Sorry if it bothers you.